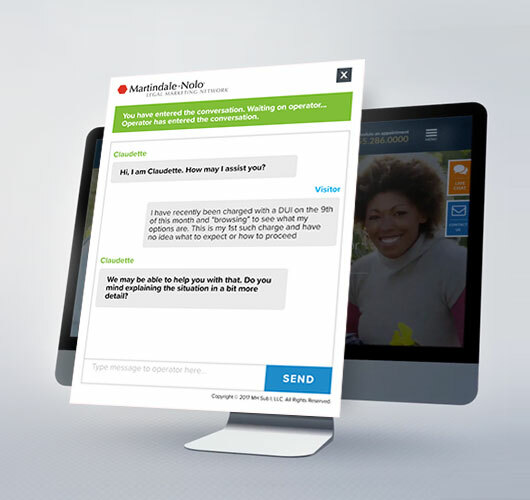 Ngage Live Chat serves thousands of law firms, from solo practitioners to megafirms, and has managed more than 3,000,000 chats with potential clients. Ngage is the staffed chat platform of choice for more attorneys, because it has the highest conversion rate in the industry and generates as many opportunities as possible for your firm. This gives your firm the option to both take on additional cases and be more selective with your clientele. Having Ngage Live Chat on your website allows you to engage visitors on your website before they may have otherwise left. Our operators are specifically trained to not offer legal advice and are always highly professional and courteous. This strategy leads to more conversions and more opportunities for your firm. Since you only pay for relevant opportunities, our service is very cost-effective. Ngage can also reduce the time needed for client intake by providing relevant information ahead of time, so your initial consultation is pointed and productive. True. Almost half of all calls reach a voicemail or a busy signal or are immediately put on hold. Still others come in after hours. Among these are hot leads, live prospects who are ready to become clients, but can't. With Ngage Live Chat, someone is there 24/7 to give your prospects the attention they deserve. "After setting up Ngage live chat on our practices' website, we saw our leads almost triple. Any practice looking to increase leads and conversion on their website should consider adding Ngage." - Aaron Feldman - Co-founder of the Foundation for Hair Restoration and Plastic Surgery, & founder of Medical Practice Specialists Inc. 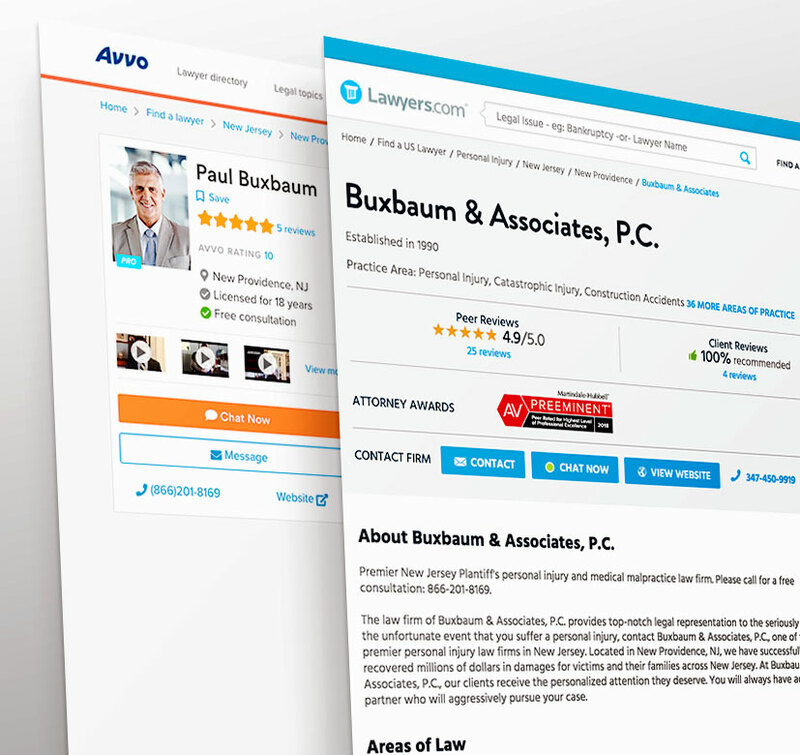 Millions of qualified prospects are actively seeking to hire legal counsel on Avvo.com℠ and Lawyers.com℠, our flagship consumer legal directories. Gain exposure and generate more leads by integrating Ngage Live Chat to your profile on Avvo.com℠ and Lawyers.com℠. The legal profession has never been more competitive. To increase your legal website conversions, call Ngage Live Chat today at 866-201-8169 or Contact Us online.